The International Centre for Aerospace Training has developed a comprehensive range of study materials for the Basic EASA Part-66 Aircraft Maintenance Licences. 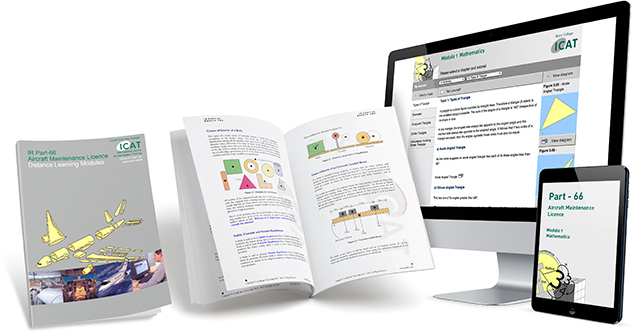 These materials are recognised as world leaders in their field, all of which are available in both online and text book formats. To accompany our books and online notes, we have also developed bespoke tutor packs to allow instructors to teach the Part-66 modules in line with our books and the EASA module syllabus. We believe there is no better way to teach the Part-66 modules. Our resources support the integration of full time to part time or short course delivery of Part 66. All of our material is fully UK CAA compliant and as such is updated on a regular basis, which is subject to regulatory CAA annual audit. 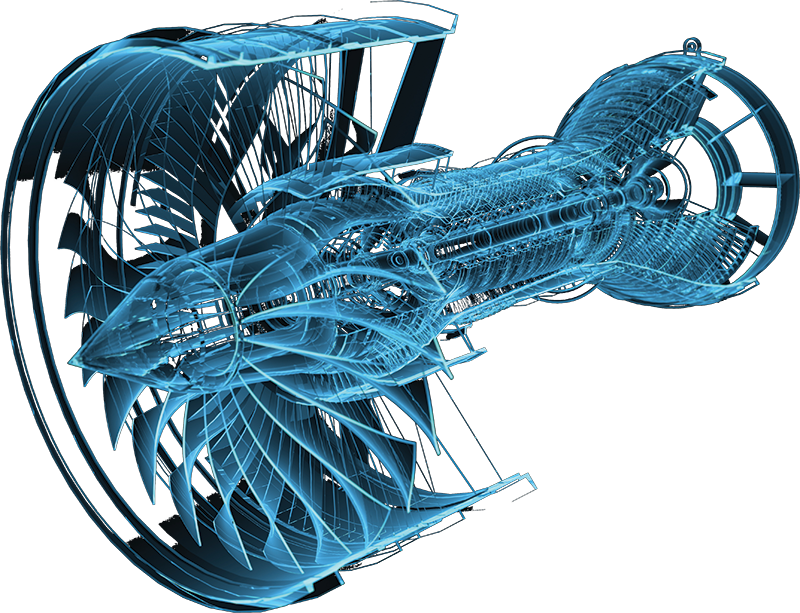 If you are an aviation training organisation seeking Part 66 solutions, we can provide you with what you need. Our complete package includes text books, online notes with study support and tutor packs, all tailored to your specific requirement. 1. Purchase learning materials as they are (via our online store) or ask for a corporate quotation for high volume sales. 2. We can re-brand all of the materials with your company logo, if requested. 3. We also offer licence agreements where you can print the materials yourself for your students. To find out how we can help your organisation, please contact us and we will be happy to discuss how we can provide you with the best Part-66 module study materials for your organisation. I agree that my details can used by Cardiff and Vale College (ICAT Ltd) Business Services and may passed to selected third parties in order for me to receive useful information about the aviation industry and related products and services. I consent to ICAT collecting my details. To find out how we can help your organisation, please contact us and we will be happy to discuss how we can provide you with the best Part-66 module study materials.